It’s beginning to look a lot like Christmas (and other winter solstice-adjacent holidays), both in stores and on our screens. This December, prepare to have your stockings stuffed and bedazzled with seasonally appropriate specials from Nailed It!, RuPaul’s Drag Race, and Chilling Adventures Of Sabrina. 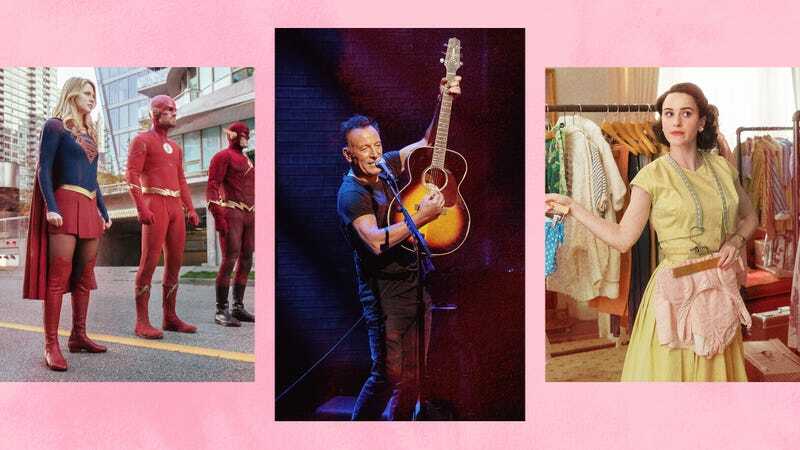 Of course, not all of these entries are tied to the Yuletide—we’re also looking forward to new seasons of The Marvelous Mrs. Maisel and Marvel’s Runaways, as well as the follow-up to this summer’s Steven Universe cliffhanger. So, have a seat next to the digital fireplace and check out the most-anticipated TV offerings for the month.